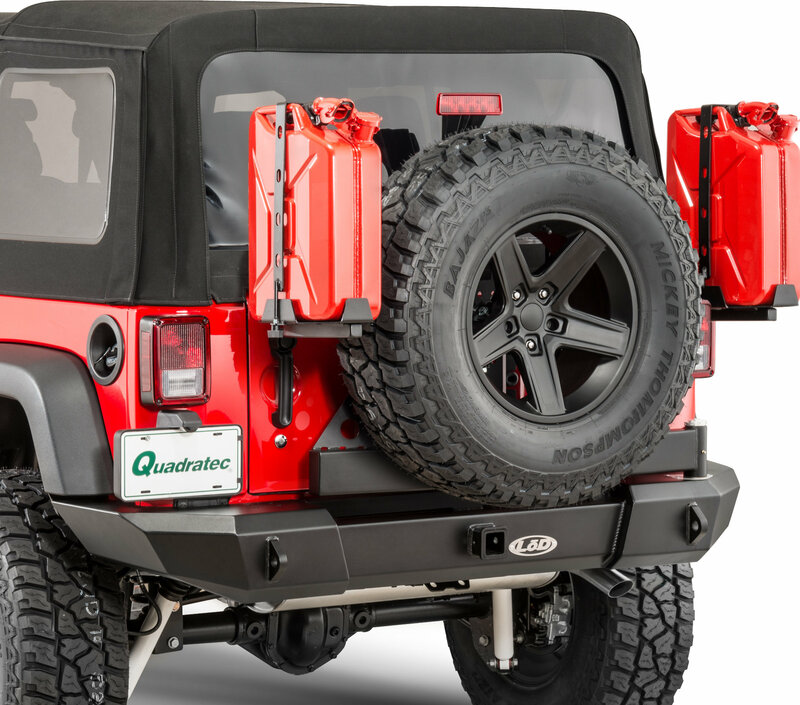 The LoD Jerry Can Mounts are designed to bolt directly to their Signature Series Tire Carrier. These Jerry Can Holders feature beefed up mounting plates as well as a steel strap that bolts over the jerry can to provide secure mounting of the Gas Can. These Can Holders will fit with any size spare up to a 37". 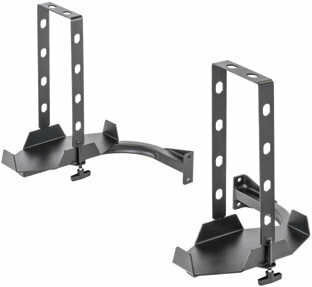 Jerry Can Mounts are designed for the LoD Signature Series Rear Bumper/ Tire Carrier ONLY!